The War of Art is about how creative professionals like artists and entrepreneurs overcome obstacles to complete meaningful work. It’s authored by Steven Pressfield, who also wrote another similar book on this subject called Do the Work, which also describes the same challenges in equally imaginative terms. They aren’t sober books on how to work as much as they are vivid characterizations of how we sabotage ourselves. One of key ideas of this book is the principle of “Resistence”, which Pressfield defines as what keeps us from sitting down and committing to the work we have to do. This book is deeply encouraging. It’s a strong reminder that we do matters a great deal. 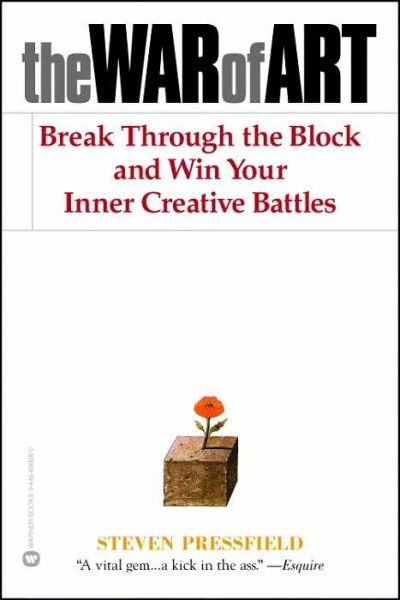 This book is fantastic and easy to recommend to anyone who has struggled with creative or professional obstacles (that’s everyone, right?). At under 200 pages, it’s not a long read, although if you’re looking for something even shorter, Do the Work is by the same author and is also very good. If you’re going to just read one, stick with The War of Art.